At Invoice Finance Scotland, our field of expertise is the tailored generation of working capital on behalf of your business, by match making you with appropriate leading lenders. We have built strong and long standing working relationships with the key decision makers at lending institutions, ensuring that we can offer you fast and tailored resolutions to your specific issues. It is our goal to thoroughly understand both your own business needs, and those of potential lenders, in order to forge befitting partnerships. 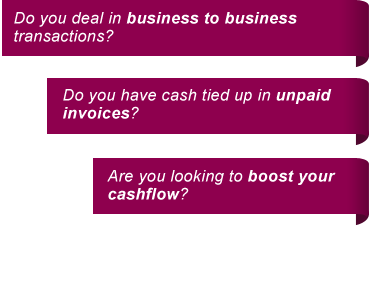 As an independent business ourselves, we are well placed to understand your cashflow concerns. 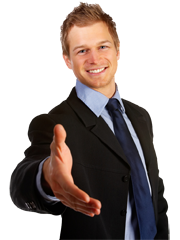 We have built up an impressive track record over the past 25 years in the invoice factoring and discounting sector. We receive word of mouth referrals from 95% of our clients, and have successfully provided business finance solutions to more owner managed businesses in the past year than the vast majority of independent financial companies. Our commercial finance experts offer support and an on-going close relationship to discuss your options with you in detail, pinpointing how various solutions can work for your business, imminently, and in the foreseeable future. This is the reason more than 95% of our customers recommend our services. At Invoice Finance Scotland, we pride ourselves in serving the Scottish business community as much as we do the whole of the UK. There are not many Scottish factoring companies with the experience and professionalism we are able to demonstrate. For this reason, whether you’re in Edinburgh, Glasgow, Aberdeen or Inverness and you need a Scottish invoice discounting company, we’re the people to help you.